Your body is amazing a well-tuned mega machine designed to constantly sponge up and remove toxins from every cell. 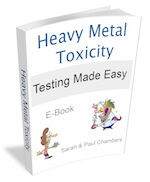 None of us are immune to the high toxins levels in our environments. Toxins drift in the air, we breathe them in and breathe them out. All manner of toxins are in the foods we consume and the water we drink. We wash in with them; we smooth them on our face with cosmetics and skin-care products, not realising we are bombarding our bodies with harmful chemicals. The first step in getting your whole body and digestive system into balance is to stop putting harmful foods into it and chemical into it. The first step to any is to detoxify your digestive system. It is always best to detoxify as naturally as you possible can. The saying is "ignorance is bliss"
When your body is overloaded with toxins your immune system simply can't cope and illness is likely to occur. We need a strong immune system as it acts as a barrier to stop nasty bacteria and toxins from invading your space. Unfortunately ignorance due to lack of knowledge is a path to illness. Help is at hand for getting your digestive system and gut back on the road to recovery, quite quickly. To be honest it is all a matter of cleaning out your digestive system and balancing the bacteria in your gut. Once you have established healthy bacteria you will feel better and your symptoms will very quickly subside. There are certain foods that can elevate toxins to synthesize in your body, so does it not make sense to reduce the intake of these foods for the benefit of your long-term health and wellbeing. By eliminating certain foods you will give your body the chance and the ability to expel toxins through natural elimination. Sugar Easier said than done, I know, I love sugar. If you start by eliminating artificial sweeteners and sugar from of your daily diet you will not only feel better, but you will have increased energy. There is no doubt that sugar causes all sorts of heath problems, examples: hypoglycemia, high blood pressure and skin problems. It took me about a week to wean myself off sugar in tea and coffee. Sugar is addictive and we can eat more than we actually realise in a day. You can get a sugar hit from natural sugar in fruit and will feel much better at making that choice! Sugar feeds parasites, Candida, cancer and of course food cravings — all symptoms of a high toxicity level in the body. It is no good simply replacing with honey because all sugar is a poison to the body. If you want extra sugar try a natural sweetener Stevia, but buy a good quality brand, as the cheaper ones are not so good on the taste buds. Dried fruit has lots more sugar in than fresh, so stick to fresh in moderation and balance. Wheat and Gluten Part of Gut Problems? Did you know that gluten does a really good job of reducing nutrient absorption through the colon and digestive track and really helps toxic buildup? 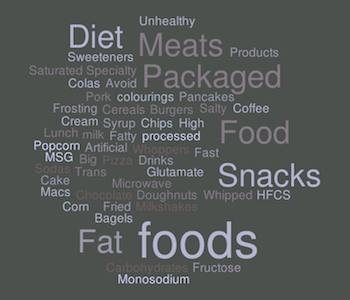 We are drowning in processed gluten products, it is in everything. Read the labeling of all the food you buy. If it is possible make your own bread from lower gluten flour such as spelt and coconut flour. Add yummy healthy ingredients such as whole grains of brown rice, millet, quinoa, and buckwheat. Your digestive system will love you, and so will your whole body. There are healps of sites on line. Cows make milk for their calves, not for humans. Around 82% of milk protein is casein; this is double to human breast milk. When we drink milk or eat food that contains milk our digestive system simply cannot cope with the amount you are asking it to digest. This sticky glue has to go somewhere, as guess what, it gets deposited in your colon and the name it has been coined is Mucoid plaque. The consequence of having a build-up of Mucoid Plaque is colon and digestive problems. Dairy products also cause mucus to coat the colon and sinuses causing the nose to feel blocked. Phlegm, the thick, sticky mucus produced by the respiratory tract in response to dairy products is another symptom of consuming cows milk. Most dairy products also contain hormones, pesticides and herbicides. Drinking and eating cows milk is a total choice and I would not want anyone to feel they have lost something they really enjoyed. Cutting down on milk products and doing organic herbal colon cleanse twice a year will certainly help keep the casein out of your system. All the things we love! The Caffeine in tea, coffee and soft drinks are toxic to our bodies, as is alcohol. The sugar in alcohol binds to toxins, which are then absorbed into the body building up over time and adding to health problems. Hydrogenated oils are better for you in their natural state. Once processed, which means heating the oils from five hundred to one thousand degrees they turn into saturated fats. Oils can be partially hydrogenated or fully hydrogenated. 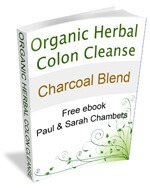 The worst oil you can possible eat for your colon health is canola oil. The only oil that is definitely good for you is raw cold pressed coconut oil. Coconut oil tastes great, does not smell when heated, great to cook with and better still eat it raw. When it comes to buying oil check the labels on packet and processed foods as these are normally made with hydrogenated oils. 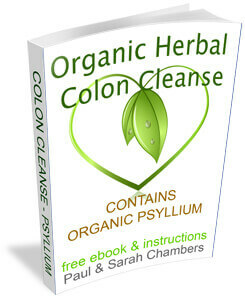 Colon health - Is herbal colon cleansing the right choice? Everyone has the right to choice how to keep their digestive system and colon in good health and working efficiently. The best way to achieve this is naturally with what nature has to offer, not chemicals or made up pills. 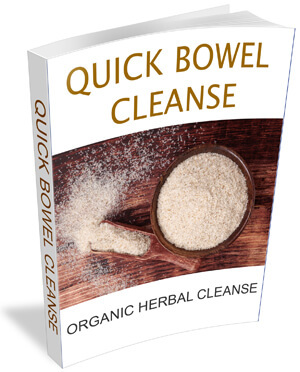 Colon cleansing is a very personal decision but if you make cleansing your colon part of a healthy lifestyle change you will not only clear out the toxic build up in your digestive system and colon, you will be supporting your whole body to successfully maintain your body more effectively. By changing your diet and cutting out foods that cause toxicity you will undoubtedly feel better and have a much healthier gut. Colon health is so important. Free up your energy by cleaning out your digestive system and start nurturing yourself, and your body today; it is the first step towards ongoing optimum health. 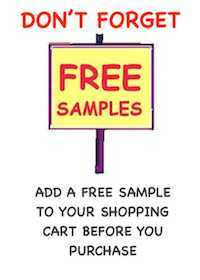 No processed foods contain enzymes or natural fibers. If colon is toxic your whole digestive system will suffer. 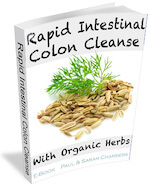 The consequences of a toxic colon is you wont be able to successfully process the food you eat and all the vital nutrients that your body need to keep you healthy will not be absorbed through your colon. 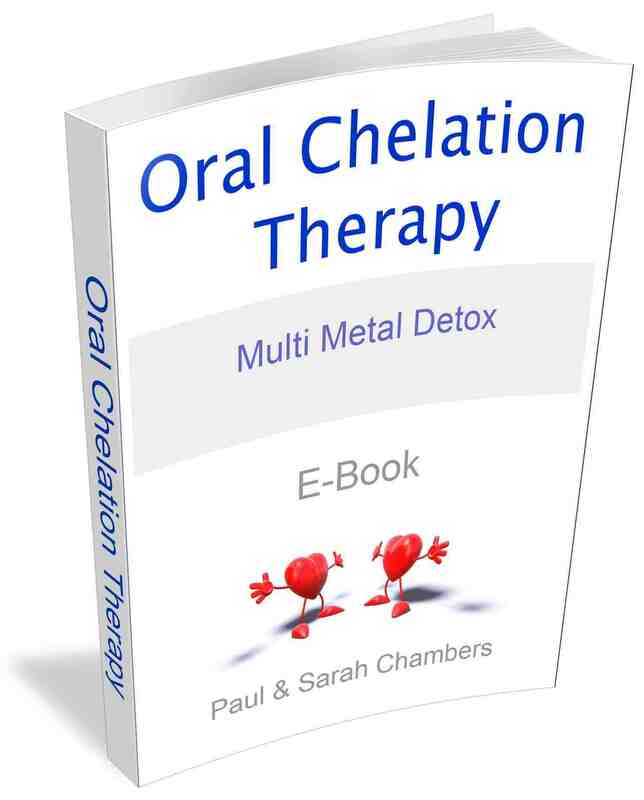 The bottom line is you may be totally unaware that you have a toxic colon but feel unwell and have digestive problems that you may not realise comes from an unhealthy colon caked in mucroid plaque and mucus. Check out our range of organic herbal colon cleansers, give your body a great service after all it is your vehicle in life and you only have one colon!